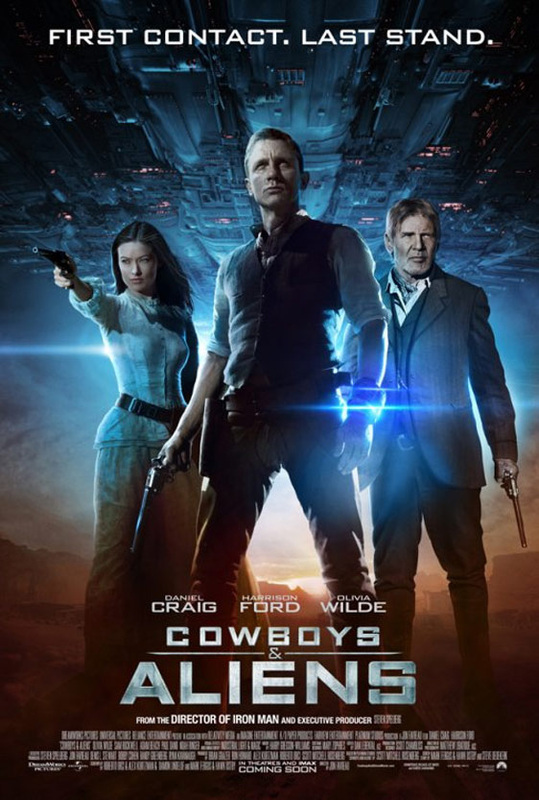 Blockbuster filmmaker Jon Favreau directs Daniel Craig and Harrison Ford in an event film for summer 2011 that crosses the classic Western with the alien-invasion movie in a blazingly original way: Cowboys & Aliens. 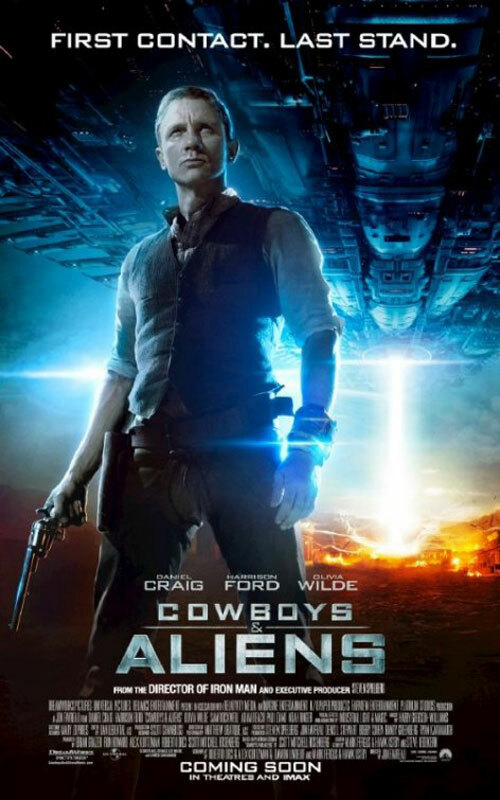 Joined by an arsenal of top moviemakers - Steven Spielberg, Ron Howard, Brian Grazer, Alex Kurtzman and Roberto Orci - he brings an all-new action thriller that will take audiences into the Old West, where a lone cowboy leads an uprising against a terror from beyond our world. Now, the stranger they rejected is their only hope for salvation. 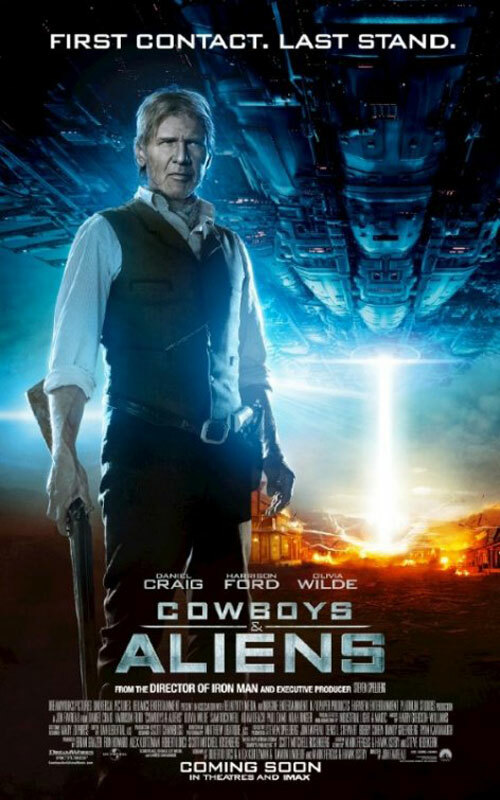 As this gunslinger slowly starts to remember who he is and where he’s been, he realizes he holds a secret that could give the town a fighting chance against the alien force. 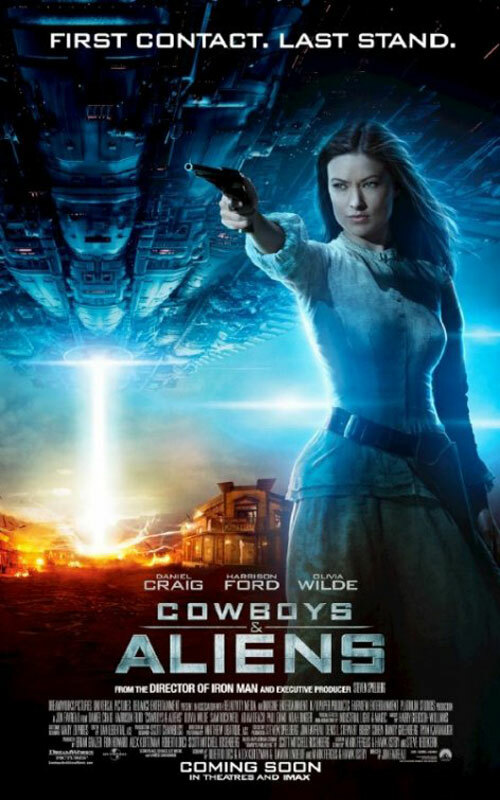 With the help of the elusive traveler Ella (Olivia Wilde), he pulls together a posse comprised of former opponents - townsfolk, Dolarhyde and his boys, outlaws and Apache warriors - all in danger of annihilation. United against a common enemy, they will prepare for an epic showdown for survival. Cowboys and Aliens Movie Prop Peplicas, Figures, Toys and Collectibles! The movie-accurate collectible is specially crafted based on the image of Harrison Ford as Colonel Woodrow Dolarhyde in the movie. 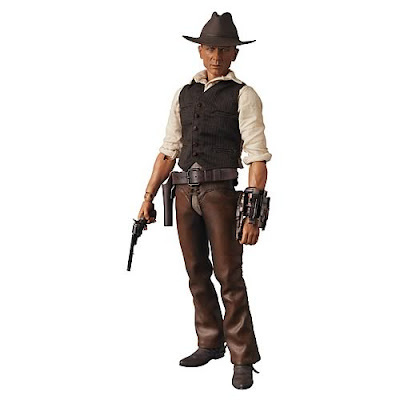 Medicom Toy Corporation: This Real Action Hero (RAH) figure recreates the 1870s outlaw hero of Cowboys and Aliens, who has no memory but does have a weapon that makes him Earth's best hope against invading aliens on the American frontier. 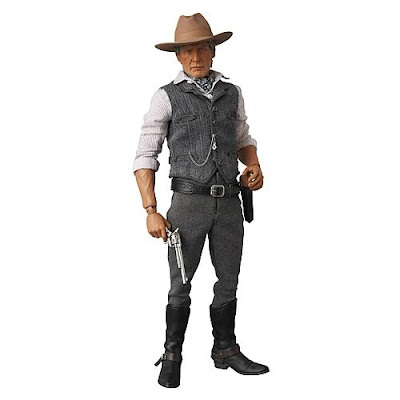 Possessing fabric costuming and uncanny detail ranging from the six-shooter at his hip to the alien device on his wrist to the accurate facial sculpt based on actor Daniel Craig, this 1:6 scale action figure brings the action of the Sci-Fi Western to life in an exciting way! Plus, collectors will thrill over the ability to turn Jake's wrist blaster on and off! Figure includes Medicom's proprietary stand. The movie-accurate collectible is specially crafted based on the image of Daniel Craig as Jake Lonergan in the movie.